An important Canadian conceptual artist and a leader in the avant-garde community, Vincent Trasov (b. 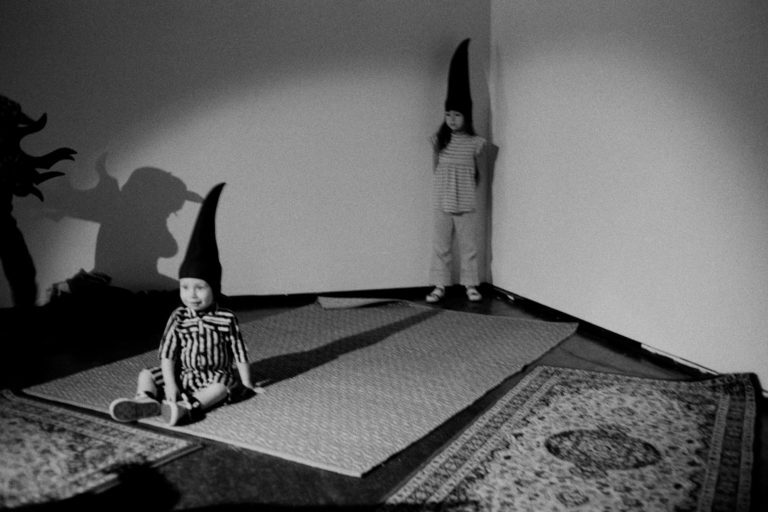 1945, Edmonton, AB) is a painter, video and performance artist. His work is often media-based and collaborative in spirit, involved with developing networks. In 1969 he founded Image Bank with Michael Morris, a method for personal exchange of information amongst artists. Trasov has made videotapes since 1971. In 1973, Trasov co-founded and co-directed the Western Front Society, an artist-run centre for the production and presentation of new art activity. Trasov gained international prominence with his performance as Mr. Peanut (in a Planter’s Peanut costume), an official candidate for Mayor of Vancouver in 1974. The Mr. Peanut role was intended as, amongst other things, a commentary about the perceived merging of art and politics. In 1981, he was invited to Berlin with Michael Morris as guest of Berliner Kunstlerprogramm, DAAD. He and Morris founded the Morris/Trasov Archive in 1990, housed at the Morris and Helen Belkin Art Gallery, to research contemporary art and communication. Trasov has had numerous international exhibitions and is represented in public and private collections in both Europe and North America. He presently resides in Berlin and Vancouver. Special Collection features works from the permanent collection and archive of the Morris and Helen Belkin Art Gallery that highlight some of the collecting streams that have evolved since the Belkin began to actively collect in 1995 following the transference of the University Art Collection to the Gallery. Now the third largest public collection of visual art in British Columbia, the collecting streams offer a series of potential narratives—thematic, historical or even technical—that serve to tell the story of contemporary art in this part of the world. There is an emphasis on avant-garde movements from the 1960s to the present, although the collection also holds other areas of interest such as early Canadian modernist works—David Milne, Emily Carr, Arthur Lismer, Takao Tanabe—some of which have been acquired recently and will be on display for the first time, and that provide an important context for the evolution of contemporary Canadian art. The collection also includes twenty-five historical and contemporary works in its outdoor art collection. One distinction of the Belkin collection are works by artists that are not found in other Canadian collections such as those by Viennese Actionist Hermann Nitsch and Indian artist Nasreen Mohamedi. Contemporary Vancouver artists are well represented in this exhibition; works include a 1991 series of paintings by Ken Lum that has never been shown in Canada, plus more recent work by Raymond Boisjoly, Julia Feyrer and Kevin Schmidt. The Belkin has a large representation of works by Vancouver artists affiliated with the Correspondence Art Network in the early 1970s whose legacy has been taken up by Ron Tran with his costumes for children that were inspired by the performances of Kate Craig, Vincent Trasov and Glenn Lewis, and by Isabelle Pauwels in her 2012 video LIKE…/AND, LIKE/YOU KNOW/TOTALLY/RIGHT. Another distinct component of the Belkin collection is its holdings of West Coast studio pottery inspired by the work and ideas of British ceramicist Bernard Leach. The exhibition also presents works as far ranging as those dealing with the body and sexuality to drawings that represent an important aspect of the artistic process. The Belkin Art Gallery is unique for a gallery its size in that it maintains an archive supervised by a professional archivist. The archive collects artists’ papers and ephemera pertaining to Vancouver avant-garde art of the 1960s and 1970s, the history of artist-run spaces, as well as Concrete Poetry and Fluxus material. Special Collection: Acquisitions and Archives is made possible with the generous support of the Canada Council for the Arts. We gratefully acknowledge the Canada Council Acquisitions Assistance program, the Morris and Helen Belkin Foundation, our Belkin Curator’s Forum members and the individuals who donate works of art to our collection. Ron Tran, Peanut, Leopard, Sharks, 2011. Installation view, LIVE2011 at VIVO Media Arts Centre, Vancouver. Photo: Jesse Birch.